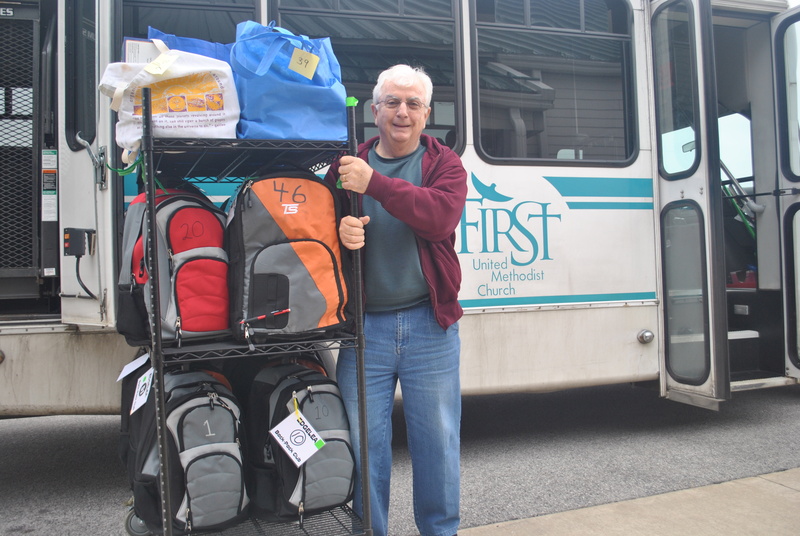 First United Methodist and Christ United Methodist Churches in Greater Lafayette provide backpacks full of food for children at Edgelea Elementary School in south Lafayette every Friday during the school year to help them through the weekend. Of Edgelea's 600 students, 53 percent qualify for the free or reduced-price lunch programs. Here's how you can help. Donate in the name of a loved one for Christmas, anniversary, other special events or memorials. Gift cards acknowledging the donation, perfect for sending to the recipient of the gift, are available. Dedicated a birthday parties or Halloween to collecting food for Edgelea. Rich Frank, right, coordinates the drivers for Feed the Kids.